There are many Caribbean bird watching spots that provide excellent opportunities for you to add this activity as part of the reason you will want to visit the Caribbean. When you think of the Caribbean you always focus on the great beaches and quality resorts. You will find the there are many interesting species of bird that are unique to the different islands. Therefore, this means that you will not able to see some of the species of birds in other places around the world. Top bird watching spots in the region will provide you with all the information you need for an informative tour of the various bird sanctuary you will find in the region. Let’s take a look are a few of the countries around the region you can go on this adventure. The island of St. Lucia is one of the top Eco-tourism destination in the region. It is one of the amazing bird watching Caribbean spots you will enjoy. Some of the endemic species of bird you will find in the island include St Lucia Warbler, the St Lucia Parrot, St Lucia Pewee, and St Lucia Oriole. These birds are only found in the island. The experience you will gain from this adventure will certainly add great memory to your vacation on the island. One of the great parts about the country’s experience is that you don’t have to travel far to see these delightful birds. They are all around the resort areas across the country so you might get a visit from one of these unique creatures at any point in your day. This is a testament to the incredible Eco-tourism attractions you will find on the island. The island of St. Vincent is located just a few miles south of St. Lucia and is another amazing Caribbean bird watching spot. 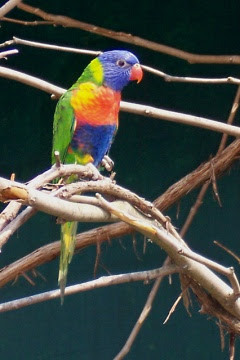 One of the unique species of bird you will find on the island is the St. Vincent Parrot. 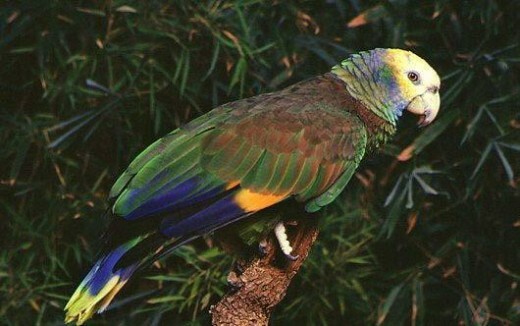 The correct name of it is the “Amazona guildingii” or the Vinci Parrot. You will find this bird housed at the Botanical Garden which is the second oldest gardens of its kind in the western hemisphere. However, the Vermont Nature Trail is the location you will want to visit when you want to experience this bird singing and speaking in nature. Accident the location is also an excellent hiking spot on the island as well. Some of the other species of bird you will have the opportunity to view include the purple-throated Carib, the Lesser Antillean Tanager, Antillean crested hummingbird and the brown trembler. Another of the lovely bird watching Caribbean spot you will find in the island of Aruba. Located just north of Venezuela this the island allows you to observe many of the common species of birds that you will find around the Caribbean and some unique ones, as well. The Bubali Bird Sanctuary is the place to go on this adventure when you are in the territory. You will find over eighty species of birds at this location. Some of the main species you will find at the location coots, cormorants, herons, Aruba Brown throated parakeet, egrets, gulls, and skimmers. In addition, Aruba is a wonderful water sports destination you can enjoy. You may be looking for an amazing bird watching Caribbean spot to be a part of your vacation. Well, the island of Jamaica will provide you will that opportunity. The Rockland's Bird Sanctuary which is located in the popular resort destination of Montego Bay will give you a great opportunity to go on this adventure. You will get the opportunity to view close to three hundred species of birds. There are some that are on the endangered species list like the Black and Yellow billed parrots. Two of the beautiful species of bird you will want to view at the Rockland's Bird Sanctuary the Jamaican hummingbirds and Jamaican Mango. The major requirement for enjoying these bird watching Caribbean spots are your binoculars and your photo or video recording device.